DR.MANFRED GERSTENFELD: CONTRASTING REAL HUMANITARIANISM OF YESTERYEAR WITH THE SOCK-PUPPETS OF TODAY…….. – The Tundra Tabloids……. 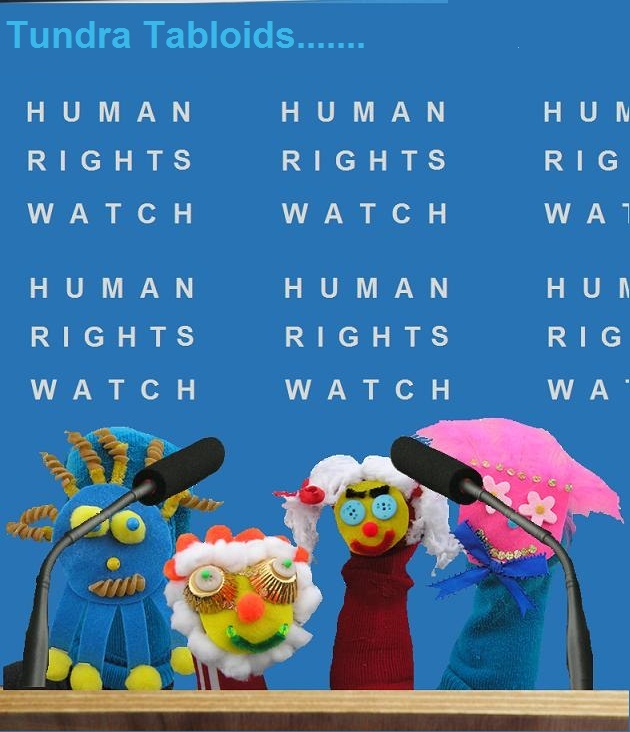 DR.MANFRED GERSTENFELD: CONTRASTING REAL HUMANITARIANISM OF YESTERYEAR WITH THE SOCK-PUPPETS OF TODAY……..
Human Rights Watch and Amnesty International should hang their (sock puppet) heads in shame. 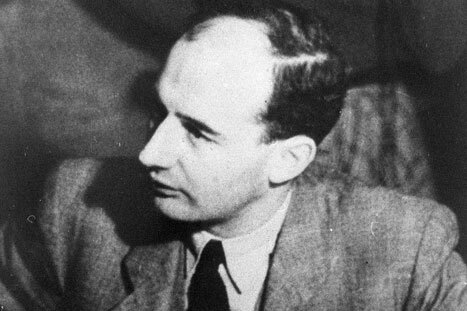 In 2012, the 100th birthday of the Swedish diplomat Raoul Wallenberg will be memorialized. His rescue activities in occupied Budapest at the end of the Second World War saved many Jews. Publicity after the war has generally focused on Wallenberg’s arrest and imprisonment by the Soviets in January 1945. Details of what has happened to him since, including where and when he died, are still unclear. Beyond his historical merits, Wallenberg’s story could become increasingly important nowadays for several reasons. One is the contrast between him and many of today’s human rights activists. Wallenberg was not a promoter of tolerance, but a savior of many lives. Wallenberg risked his life by his own volition under the Nazi regime – the most brutal government Europe has known in modern times. In our day, many prejudiced activists have pervaded the human rights movement. As one example: the major organization Human Rights Watch has become tainted by various acts of whitewashing of Libya’s regime while Gaddafi was in power. This type of behavior increases the potential importance of Wallenberg as a shining example of what true humanitarianism means. Contemporary society is in great need of courageous people as role models. Educators need examples of people who did the right thing at a time when there were many others who committed extreme crimes, collaborated with criminals, or just closed their eyes and stood by passively. In some countries Wallenberg’s memory is honored, in others much less so. He has posthumously become an honorary citizen of the United States, Canada, Hungary and Israel. Streets have been named after him. There are Wallenberg memorials in many towns including Tel Aviv. Yet memorializing the activities of a person is not as meaningful as presenting him as a role model in contemporary self-centered societies. A second issue of importance is to publicize the Soviet Union’s crimes against Wallenberg as well as to illustrate the dubious role of the Swedish government after the Second World War. Sweden did not give Wallenberg the honor he merited. The country also barely inquired into what became of its courageous national. The Swedish government was even offered help by the Americans to find out more, but refused the offer. Swedish Foreign Minister Carl Bildt is Chairman of the National Committee in charge of Wallenberg’s commemoration. This was an unfortunate choice. Bildt supports an extreme Swedish government-financed pro-Palestinian group which has terrorist links. He has to be watched carefully to make sure he won’t abuse the memory of an exceptionally good human being who saved Jews. Bildt may well claim that as he devotes time to honor an important rescuer of Jews, this excludes his being an anti-Semite in its new anti-Israeli dimension. One can only hope that not only Israel, but also Jewish communities around the world will make a major effort to give Wallenberg’s memory the attention it well deserves. Very few people in history went to such lengths in order to save so many Jews from certain death. Dr. Manfred Gerstenfeld has published 20 books. Several of these address anti-Semitism and anti-Israelism. His book “Behind the Humanitarian Mask: The Nordic Countries, Israel and the Jews,” can be downloaded for free. Efraim Zuroff, “Sweden’s Refusal to Prosecute Nazi War Criminials, 1986-2007,” in Manfred Gerstenfeld’s book, Behind the Humanitarian Mask: The Nordic Countries, Israel and the Jews, (Jerusalem: Jerusalem Center for Public Affairs, 2008), 107-129. Personal Communication Louise von Dardel. Previous Post Previous Post CHRISTIAN ON DEATH ROW COOKS OWN FOOD IN FEAR OF POISONING……. Next Post Next Post FINNISH SWIMMING HALL PLANS MASSIVE CURTAINS TO SHIELD SWIMMING IMMIGRANTS……..
Somebody should start an organization similar to, but better than, the ACLU or Amnesty Intenational which would bring lawsuits for individuals who have suffered discrimination by muslims. It is happening over and over and it is time somebody started helping the victims in a way that liberals understand. I don’t expect muslims to understand. But the useful idiots do comprehend legal action, because they have been doing it for years. Fifty years of civil and legal progress is on our side.